Your Commonage .ie: Grazing Agreements, Clarification needed. 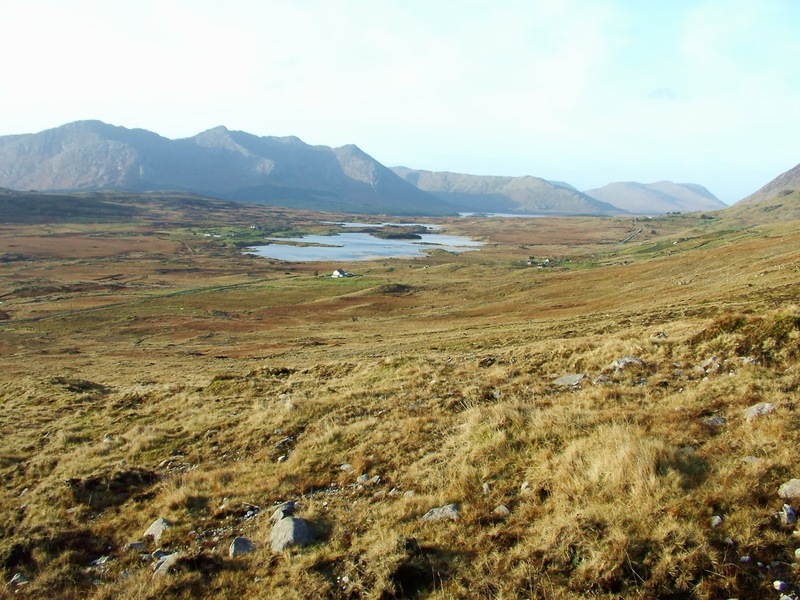 Inagh Valley, Co. Galway. Very small areas of enclosed land to support hill flocks, grazing plans will be difficult to put in place and are likely to need fine tuning for some time to get the balance right. 1) How are dormant shareholders to be dealt with? In particular, will the requirement for 80% of shareholders to participate in a grazing agreement include the dormant shareholders? If it does, the process is going nowhere, as on average approx. 1/3 of shareholders are dormant, many of these are not even traceable and others may potentially derail an agreement by demanding a cut of any payments. 2) How are inactive shareholders going to be treated? How are they even going to be defined? This is potentially an even more difficult issue as many such farmers will insist that they are active in an attempt to hold onto forage area. Others will seek to change their farming system by starting to use the hill again. While this is within their rights, it will complicate the process of reaching an agreement on the commonage. 3) How much time will be available to negotiate agreements? If GLAS is to open in Jan 2015 than time is rapidly running out. 4) How will all of this link into the launch of the GLAS scheme? Are AEOS 2 and 3 farmers with commonage going to find themselves out of a scheme, if agreement is not reached in respect of their commonage in time? 5) Will admission to GLAS be limited to an annual quota or will the scheme remain open until the 50,000 places are filled? Is there a risk that GLAS could be filled before commonage agreements are in place? If it does then many commonage farmers could be permanently excluded from an agri environment scheme. 6) What provision will be made to provide professional assistance to farmers in negotiating an agreement? How will this be paid for? Will it be paid for directly by the farmers or through a voucher system? It should be clear to all concerned, that if the cost is to be left to farmers to pay and the farm advisor to collect, then commonages with large numbers of shareholders such as Achill Island will never be facilitated. 7) The Dept. of Agriculture must appreciate how difficult it will be for an individual farmer to take the initiative to sell this concept to his neighbours, some of whom may be unconvinced of its merits. This is a real barrier to progress, if it is to be overcome than all the other barriers in particular the transaction costs must be fully compensated for and the cash flow implications for all concerned reduced to an absolute minimum..
8) A professional advisor will be required to facilitate an agreement, however this raises very real issues for advisor and farmer alike. Foremost of these is the associated transaction cost, not surprisingly the advisor will want to be paid and it is unreasonable to expect him to seek payment from each individual shareholder. Such a task may prove impossible and will deter many advisors from getting involved. This is particularly relevant on commonages with very large numbers of shareholders. Imagine the difficulty for an advisor in splitting his fee 100 ways and trying to collect this amount from each shareholder. Then consider the alternative, the difficulty for a farmer, to take it on himself to collect the money from 99 other shareholders to pay the advisor; it won't happen. I suggest that as a minimum that Dept. of Agriculture should consider all landowners who did not declare the commonage in 2013 as being dormant. If they want to come back into farming they should be allowed, but they should not be in the calculation of what constitutes the qualified majority needed for a grazing association. The issue with inactive shareholders is more complicated but perhaps one solution is to allow them to claim the basic payment and the ANC payment provided they participate in the grazing agreement but restrict the GLAS payment to active farmers. As regards the cost of putting a grazing agreement in place, it is clear that the Dept. of Agriculture do not want to get involved in paying farm advisors directly, however they could issue farmers with a voucher to purchase this service from an approved farm advisor. The advisor could be paid by the Dept. of Agriculture on submission of the voucher provided a grazing plan is agreed. The Dept. of Agriculture could then recover this money from future payments due to the farmer. GLAS+ would provide a suitable mechanism for meeting this exceptional item and ensuring that the farmers costs are met. Finally the NPWS could finance the transaction costs for a number of flagship commonages to demonstrate to farmers around the country that progress is possible. Clarity is needed on all of these issues. The Dept. of Agriculture must publish a real implementation plan very soon.